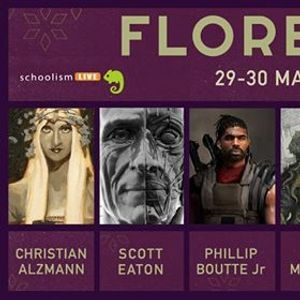 2 days of CONCEPT ART for VIDEOGAME and CINEMA with Artists from the best production companies in the world such as ILM, Marvel, Ubisoft, Riot, Disney, Dreamworks in a unique Workshop organized by Schoolism and Nemo Academy. 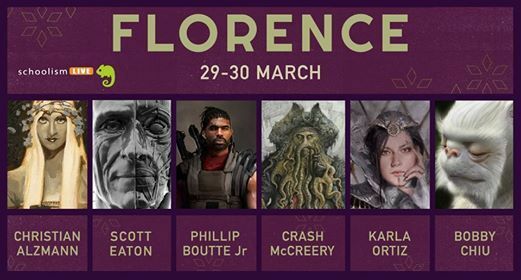 2 Giorni di CONCEPT ART per VIDEOGAME e CINEMA con Artisti provenienti dalle case di produzioni migliori al mondo come ILM, Marvel, Ubisoft, Riot, Disney, Dreamworks in un Workshop unico organizzato da Schoolism e Accademia Nemo. SCONTI SPECIALI PER GLI STUDENTI DELL'ACCADEMIA NEMO.